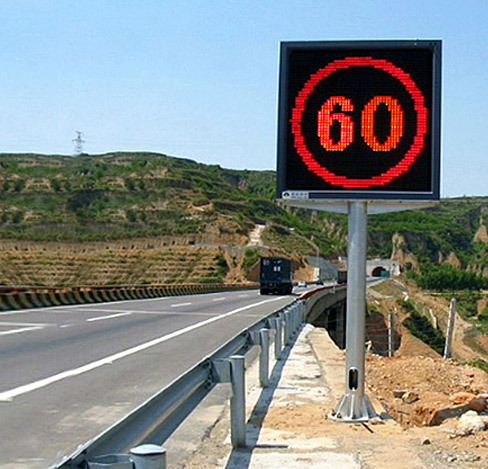 Variable Speed Limit Sign (VSLS) is mainly used to display the speed limit values, and the speed limit values can be changed. 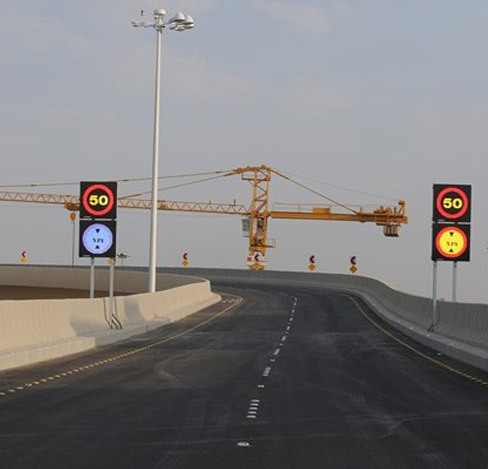 VSLS can assist traffic managers in scientific and efficient traffic management, and dynamically adjust the speed limit value according to the actual conditions on the road. 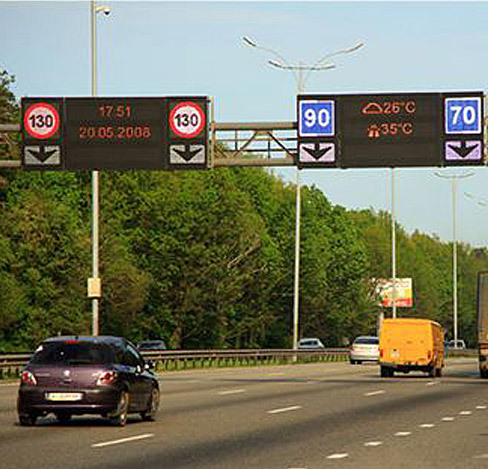 Comsight VSLS has a full dot matrix design and is therefore a multi-purpose transportation display. ― Indicator sign (School, Village, Road Closed, etc.) and so on. and components. 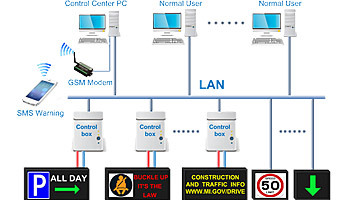 Derating use on parameters and leaving enough margin to ensure long-term stability and reliability. ― Adopt an all-weather design and use AkzoNobel`s powder coating to withstand harsh weather conditions and ensure long-lasting durability. 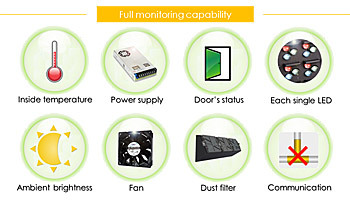 measures will reduce the temperature rise of the VMS, improve the reliability, and reduce the light decay of the LED. and have a long-term preservation for the log records in the control center database. 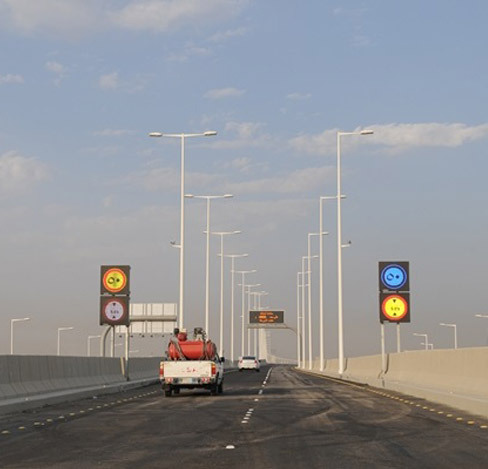 ― Intelligent brightness adjustment function: based on the real-time monitoring of ambient brightness, proceed non-linear automatic dimming control (automatic mode). control center, he can also know the running status of VSLS in time. 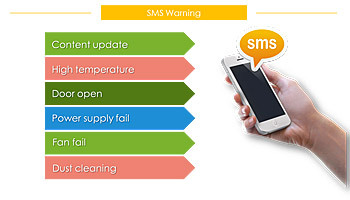 The VSLS will carry out the corresponding actions according to the monitored temperature value. the safety for the VSLS and prevent the occurrence of fire. 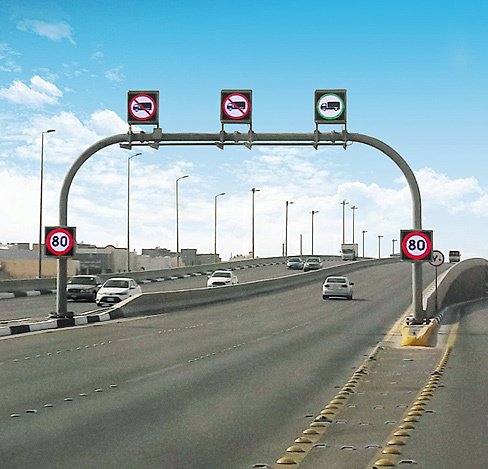 to ensure the VSLS operation of high security and accuracy. Text, symbol, picture, graphic, logo, mark, animation, etc. With single LED detection function.